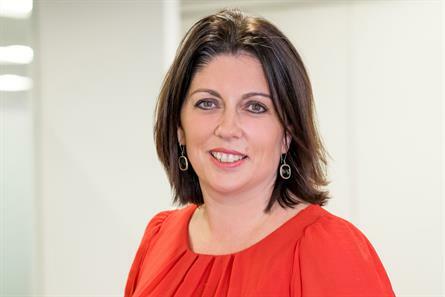 Beneath the diversity lie clear signals to magazine media's vitality and growth, says the chief executive of Magnetic. As has been said many times before, the ABC results don’t provide the full picture regarding demand for magazine content. Just look at the multiple touchpoints generated from events, apps, desktop, mobile and you’ll begin to see a clearer, 360-degree view of the sector’s performance. However, what the ABC results do give is a sense of the value consumers place on print and digital editions, which is still hugely important to publishers and advertisers alike. My first observation is that we have a sector showing that demand for its content is strong. Last August, magazine publishers reported a total combined circulation (print plus digital editions) of -0.2 per cent year on year, and this February shows a similar story at -0.1 per cent. That’s a very stable picture in a world where content is in greater supply than at any point in our history. Beneath the headlines, it is sometimes harder to see the answer to why demand remains strong amid the ‘mixed bag’ of ups and downs and period on period figures. The data suggests that although there is no one strategy that underpins the ability of a magazine brand to thrive, there are some definite themes amongst the positive numbers. Many of Magnetic’s stakeholders have taken innovative approaches to their distribution models that seem to be reaping rewards. Cosmopolitan reflects this with a new cover price and a strategy of taking its distribution to its audience in bars, cinemas, gyms, and shopping centres resulting in a sizeable 57.3 per cent year-on-year increase. Forever Sports' 15.9 per cent period-on-period increase is on the back of a model that augments newsstand availability with a deal that includes retailer Sport Direct and health and fitness outlets. This was NME’s first ABC since adopting a free distribution model, boasting a new circulation of over 307,000. Its new model has not only increased the number of interactions with the printed title but has stoked demand online too. Monthly uniques shot upfrom just over 600,000 in July to well over 1.5 million in December 2016 (according to comScore). The space for a free distribution model has also expanded. Travel magazine Escapism, via the Evening Standard’s distribution network, increased circulation as did established titles such as ShortList and Stylist. It’s also interesting to note that key retailers continue to ramp up circulation of their own brand customer magazines. Tesco and Good Living (Asda), which each circulate around two million copies, delivered upticks in circulation. John Lewis Edition increased circulation by over 14 per cent, reflecting the valuable role that printed magazines play in directly connecting consumers with brands. Recent research by Magnetic featured a piece of work based on academically recognised principles around measuring happiness, to understand the role that content experiences play in consumers’ lives. Engaging with magazine content increased millennials sense of well-being by 12 per cent and 70 per cent of all magazine moments fulfilled a need for pleasure or purpose. It’s not too difficult to see how brands are delivering on these consumer needs in the latest ABC’s. Despite recent debates around the Independent’s print closure and where this leaves other newsbrands, the news and current affairs sector in magazines is thriving. Across the board The Economist, The Week, The Spectator, and Private Eye, are all showing strong year-on-year growth. Brands that have a clear purpose and offer useful, relevant and trusted content are being sought out more than ever. The children’s magazine sector is an interesting example of continued print success amongst a generation who are allegedly only connected to the digital world. New launches including The Week Junior and Andy’s Amazing Adventures, resulted in a rise in overall circulation while actively purchased print copies increased by 18 per cent in comparison to a year ago. The desire for high quality, long form content that supports the most important passions, interests and values of readers is being well served by magazine brands. At the more pleasurable end of the pleasure/ purpose continuum there seems a healthy appetite for content in print that still offers a reward moment for consumers. Eleven specialist categories showed yoy growth with notable increases in Empire for the film buffs, Good Homes for interiors, Women’s Health for fitness, and Rugby World for sport. What this means for advertisers is really reflective of the broader changing nature of all media moments. The world really does seem to be splitting into the micro, snackable content that digital provides and the more immersive macro long-form broadcast, experiential or magazine moments that are worthy of a longer read and offer an arguably more engaged moment. For advertisers, both have a value of course, but in a world of over supplied content, don’t we need to appraise environments where time spent is sought and the advertising welcomed rather than blocked? Publishers have done a remarkable job in sustaining their print performance whilst making content available to consumers anytime and anywhere. Demand for rich and rewarding content is growing and it is Magnetic’s job to work with brands to ensure they know how to take full advantage of these incredibly productive advertising environments.